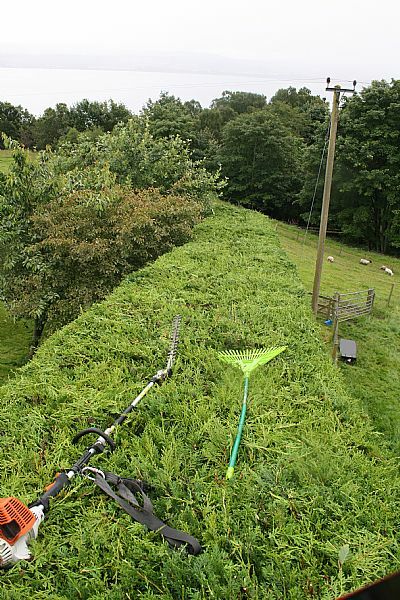 hedge cutting, hedge pruning, hedge trimming, inverness hedge trimming, black isle hedge trimming hedge trimming highlands, inverness tree surgeon highland tree surgeon highland tree services. 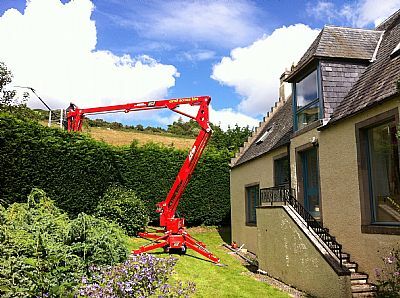 BLACK ISLE TREE SERVICES DO HEDGES. It has been a more than common occurance at Black Isle Tree Services to find us working on hedges through out the highlands, from gargantuan proportions to slightly more normal proportions. Dare we call ourselves experts? This is the Tracked mobile Elevated work Platform or MEWP for short. It is a handy tool and its use can reduce the cost of the job by speeding things up! 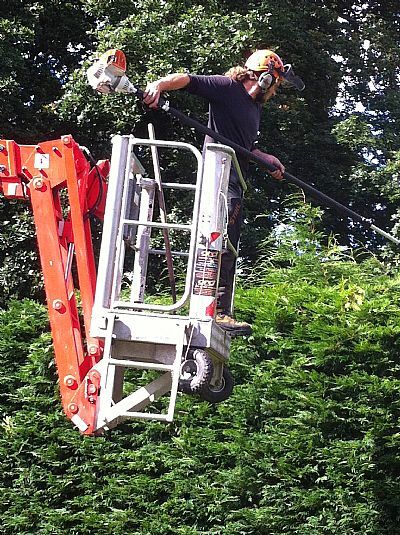 One less exhausted tree surgeon, a more cost effective job, one happy customer!